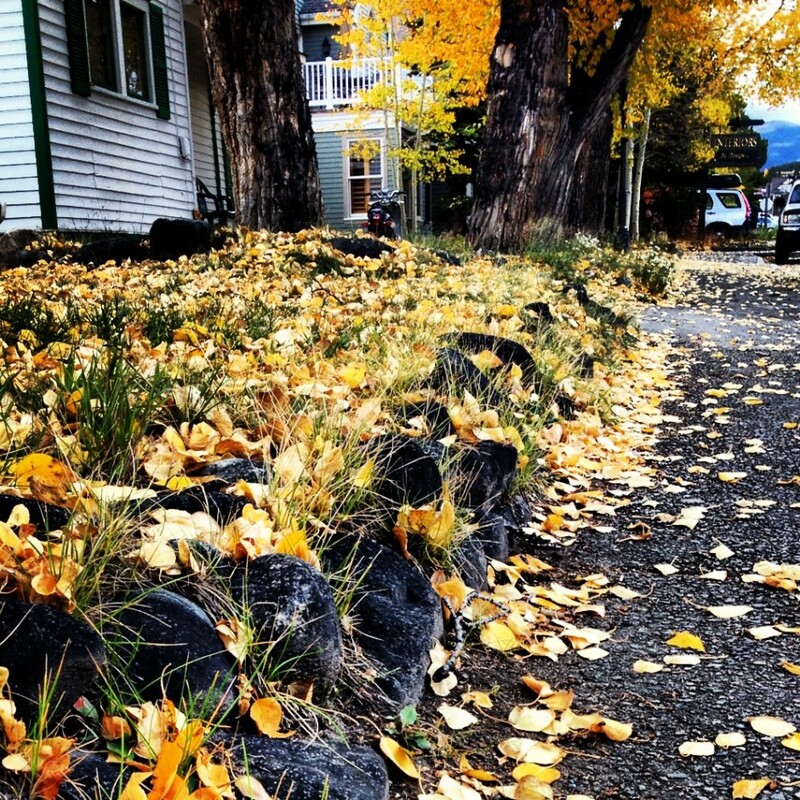 A final collection of photographic souvenirs from Monica Prelle’s fall trip to Breck. Before I visited Breckenridge in late September, it was one of those ski towns I’d heard of but didn’t think I needed to check out. I live in my own mountain town in California, and most of my travel time is spent at the beach. But after just a few days, I realized, I could see myself here: There’s epic mountain biking, world-class fly fishing, the highest chair lift in North America, and the people are, well, my kind of people. 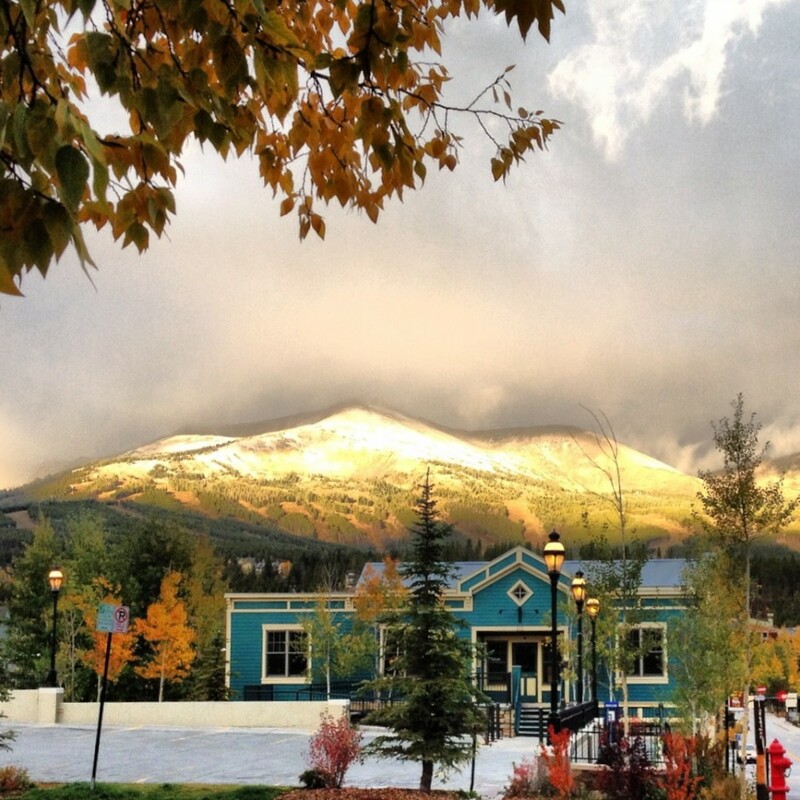 A dusting of snow in late September glows in the sunrise on Breckenridge Ski Resort. I’m normally not a morning person, but views like this gave the early hours something special. Meet Cochise. 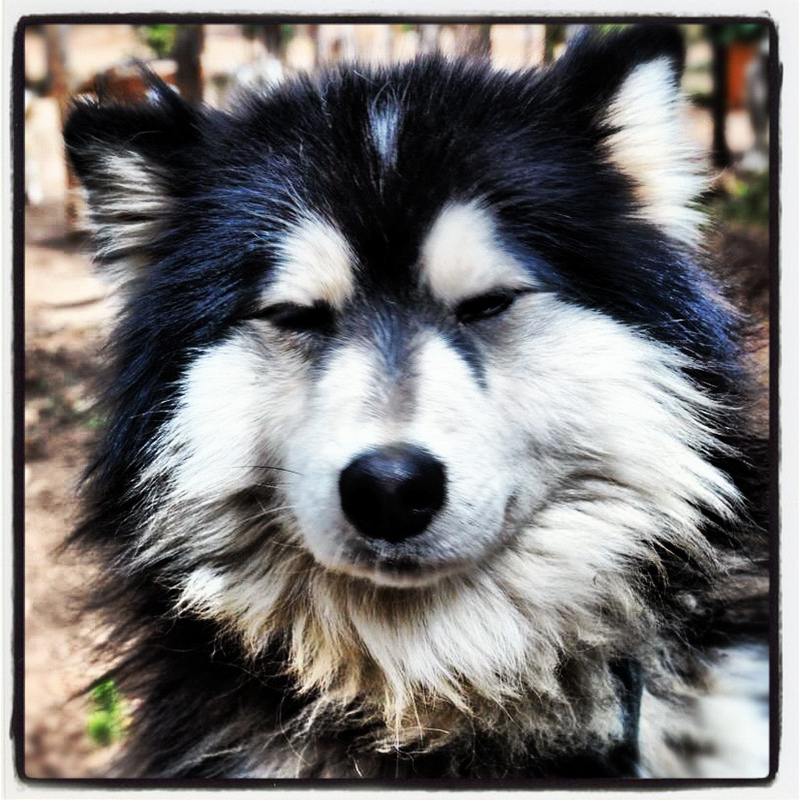 He’s an eight-year-old wooly-coated Siberian husky retired from Snow Caps Sled Dogs. 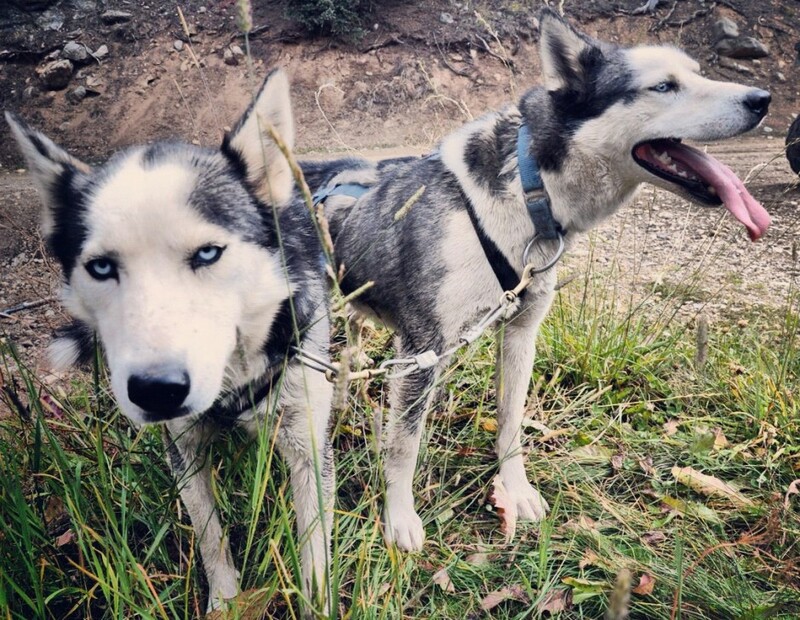 After eight years of working, the dogs are adopted to local families. 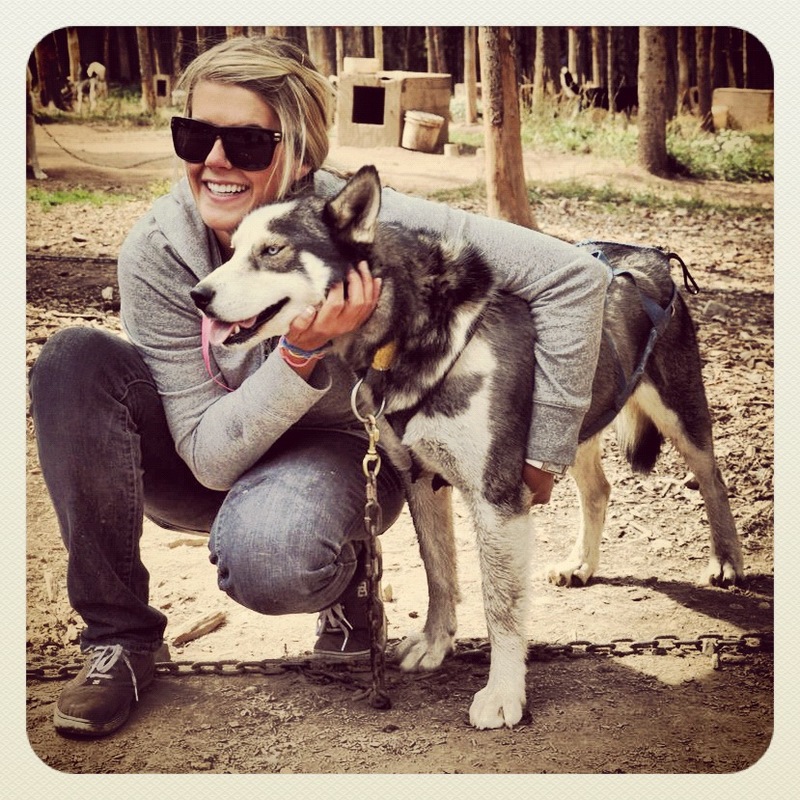 GoBreck’s marketing and social media coordinator, Jessie Unruh, poses for a photo with Rover, one of her sled dogs for the day. A sticker on the door at the Snow Caps Sled Dogs office says: “My sled dog is smarter than your honor student.” Here, my team of dogs for the day, Spot and Rover, take a break at the creek. On the way to the South Platte River, I drove over Hoosier Pass and stopped to snap this photo of the headwaters of the Blue River. 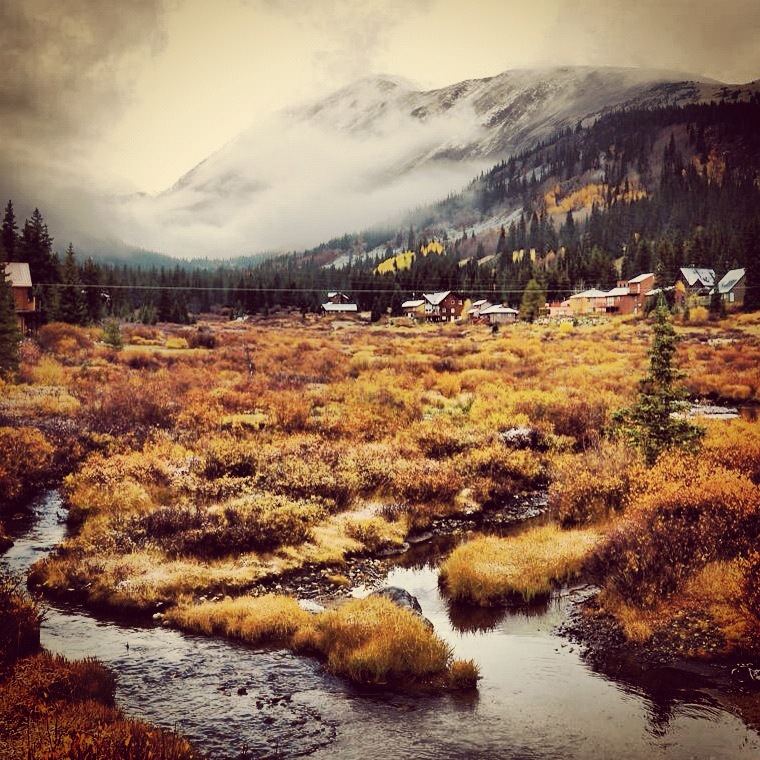 It was a frosty September morning, and Quandary Peak (14,265ft) was still socked in the clouds. 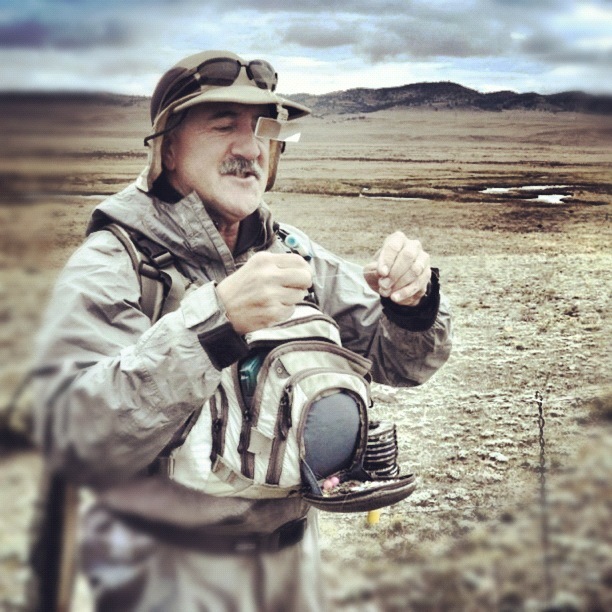 Mountain Angler’s Matt Krane was my fly fishing guide for the day. He constantly switched bugs on the end of my line, taking short breaks only to tell a bad joke. 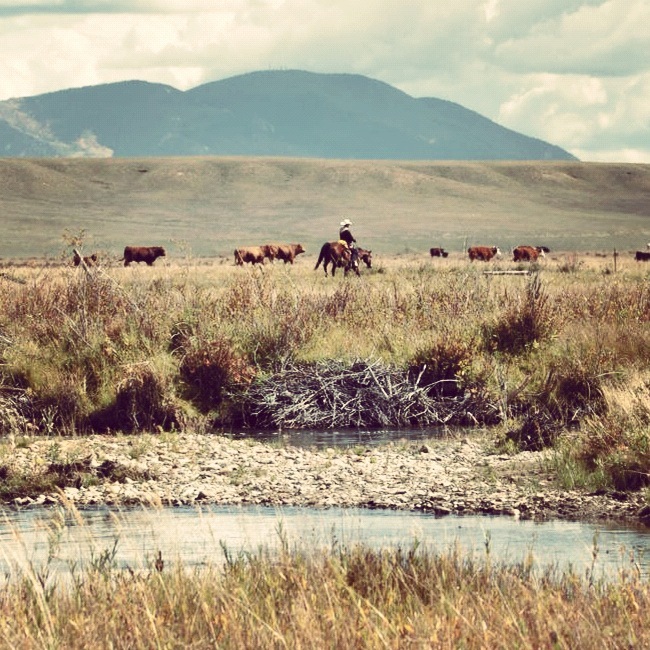 You know you’re fishing in Colorado when… cowboys are wrangling their cattle while you’re hooked up on a brown trout.Photo by Matt Krane. The only world record that really matters will be broken this Thursday in Breckenridge, Colorado. With its oxbows, runs, and riffles, the upper section of the Middle Fork South Platte River is perfect fly fishing water. The scenery isn’t bad either. 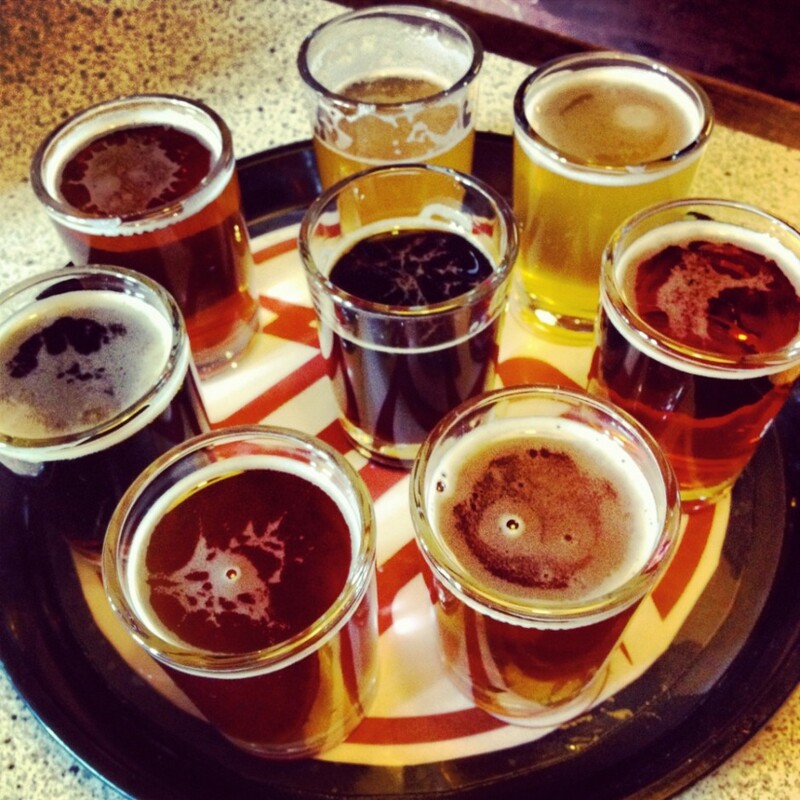 Breck Brewery’s flight of beers is a great way to taste the top sellers and seasonal ales. My favorites were the agave wheat, avalanche amber, and vanilla porter. 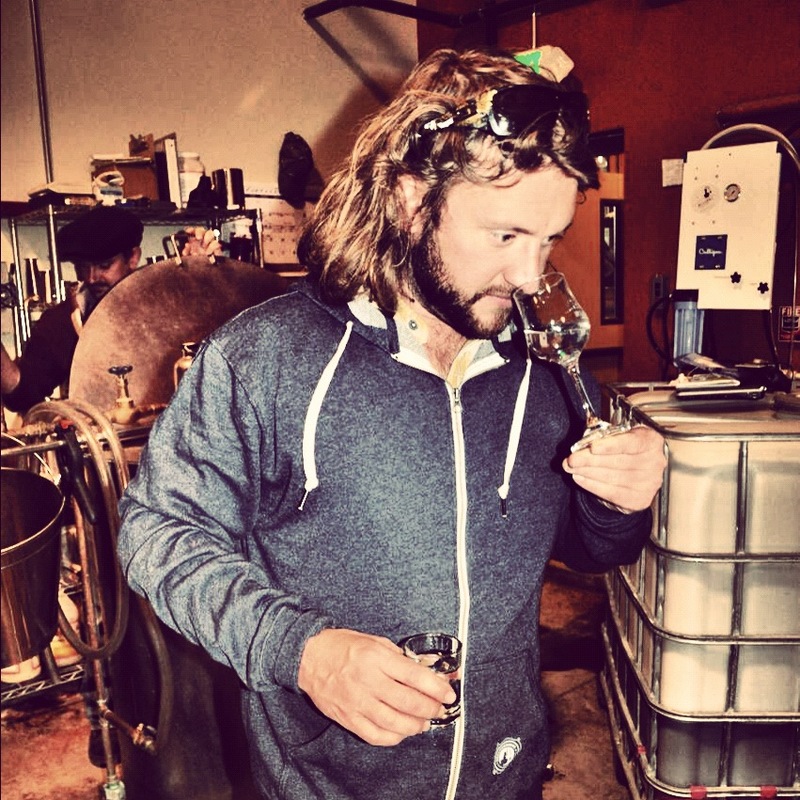 Reynolds Tackaberry, apprentice distiller at Breckenridge Distillery, tastes whiskey from the still before it ages in oak barrels. At this stage it’s basically moonshine. 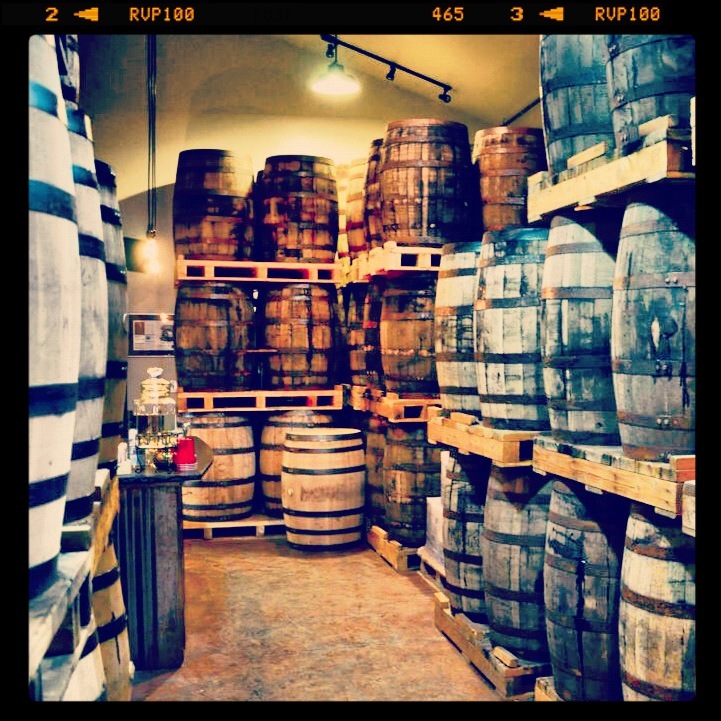 Small-batch bourbon and whiskey age in new white American oak barrels at the Breckenridge Distillery. “People have been making bourbon longer than Kentucky has been a state.” Reynolds Tackaberry says in response to the question: Can it be called Bourbon when it’s made in Colorado? 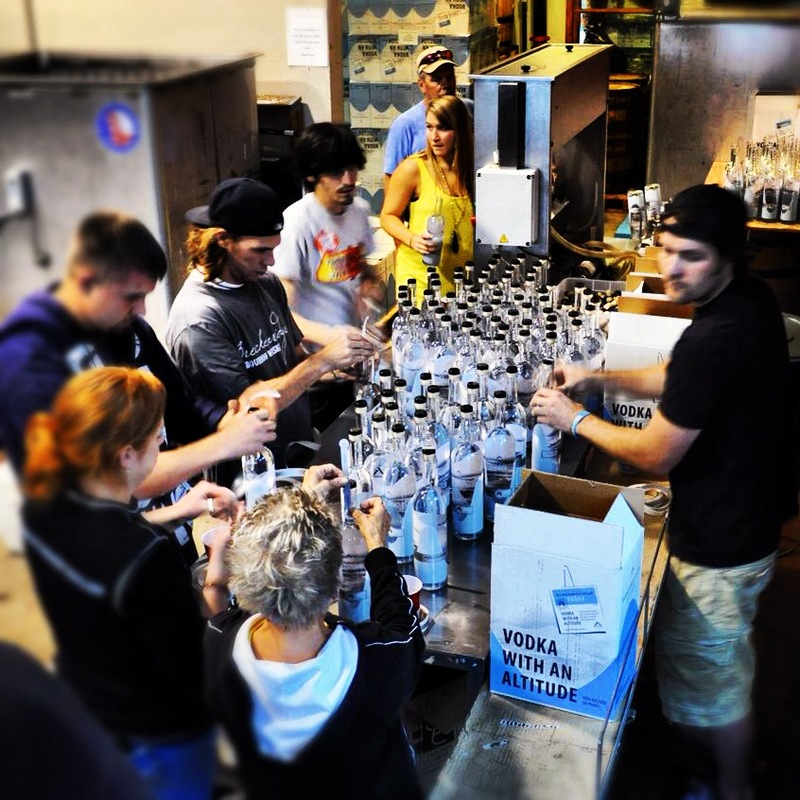 Most people think Bourbon is only from Kentucky, but Reynolds sets the record straight. 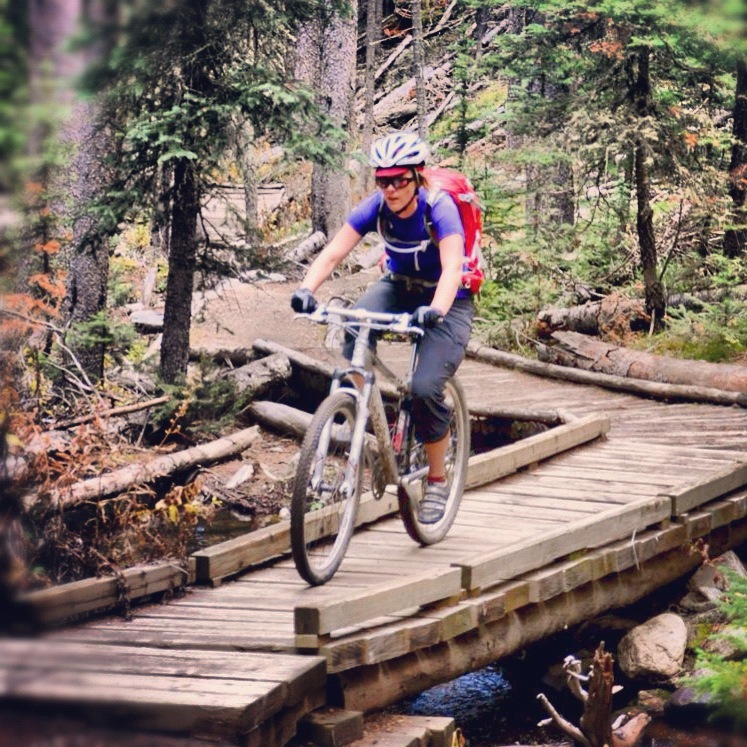 GoBreck’s PR manager Rachel Zerowin riding Peak’s Trail. She’s a road biker turned mountain biker (enlightened). 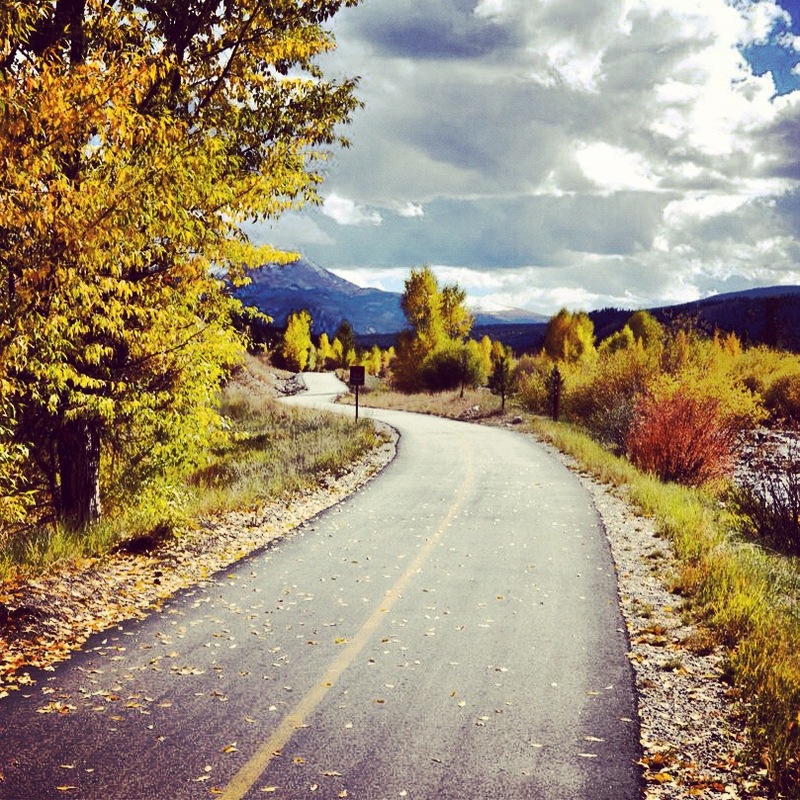 The Blue River Recreation Path connects Breckenridge to Frisco and is well traveled by cyclists, runners, and dog walkers. 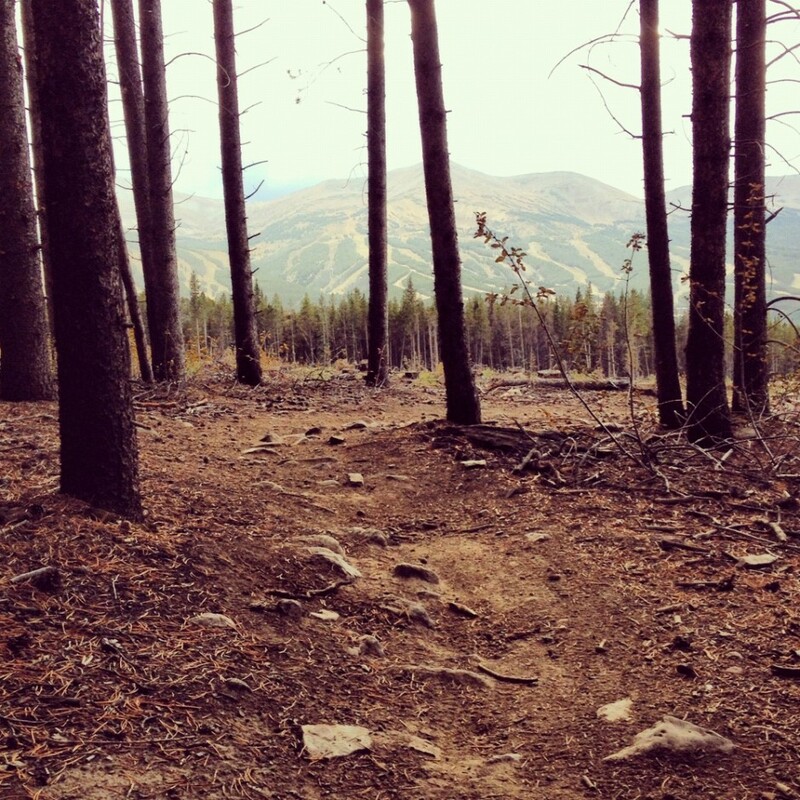 It also makes for an easy return on a mountain bike to Breck from the end of Peak’s or Gold Hill Trail. The Barney Ford Trail winds through the trees above Breckenridge. It has nice dirt and great views of town and the Tenmile Range. 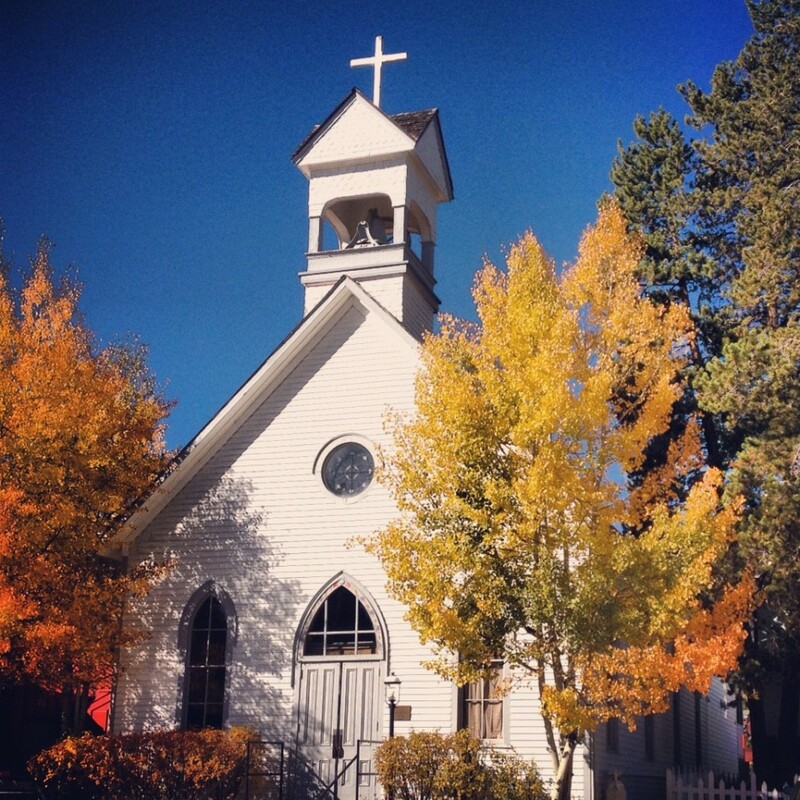 Saint Mary’s Catholic Church in Breckenridge highlights the blue skies and fall colors in late September. 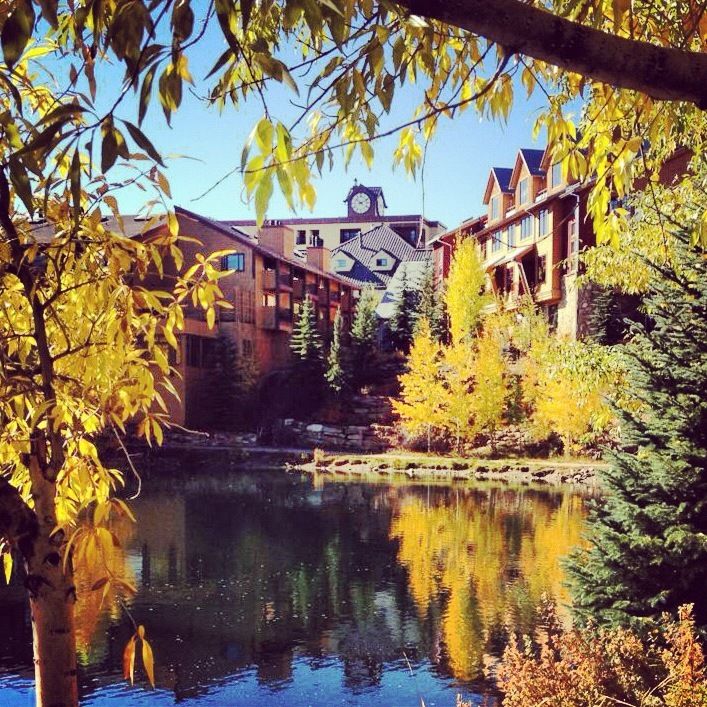 Fall colors, condos, and restaurants reflect on a pond in downtown Breckenridge. 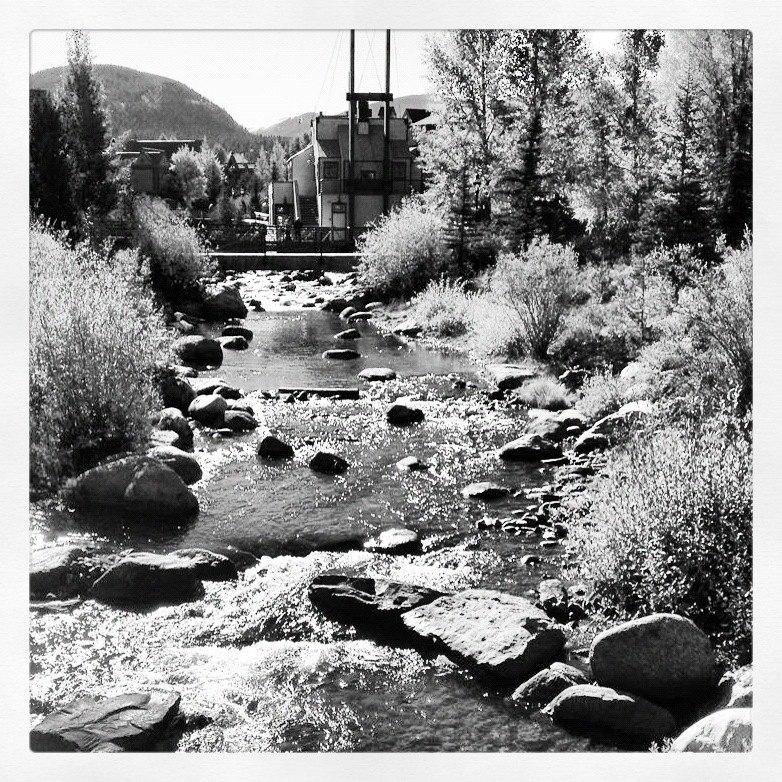 The Blue River is the pulse of downtown Breck. 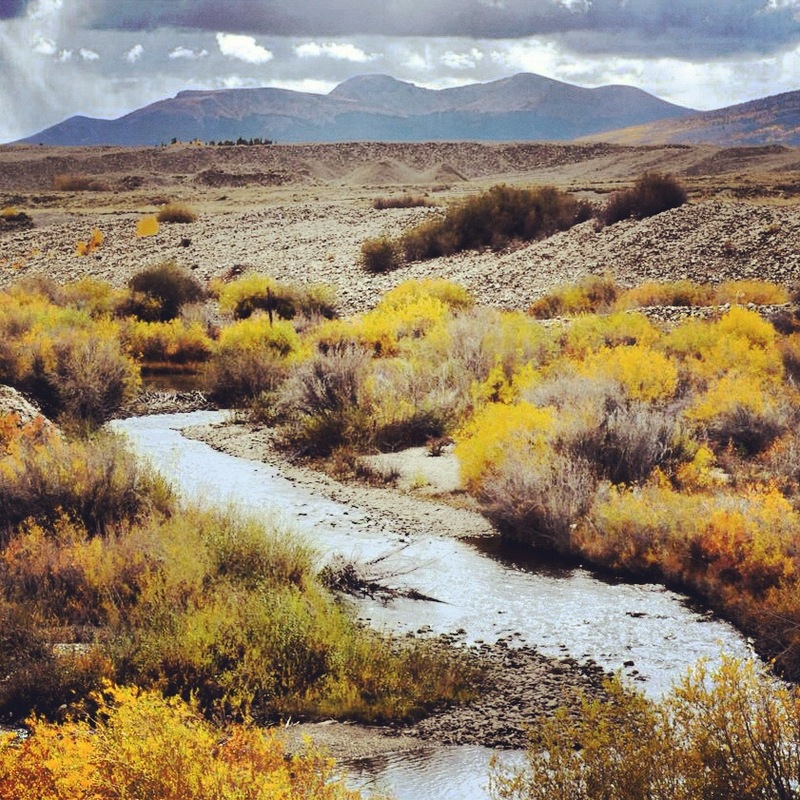 It rises high on the western slope of the Continental Divide, flows through Breckenridge, through the Dillon Reservoir, and eventually makes its way to the Colorado River. 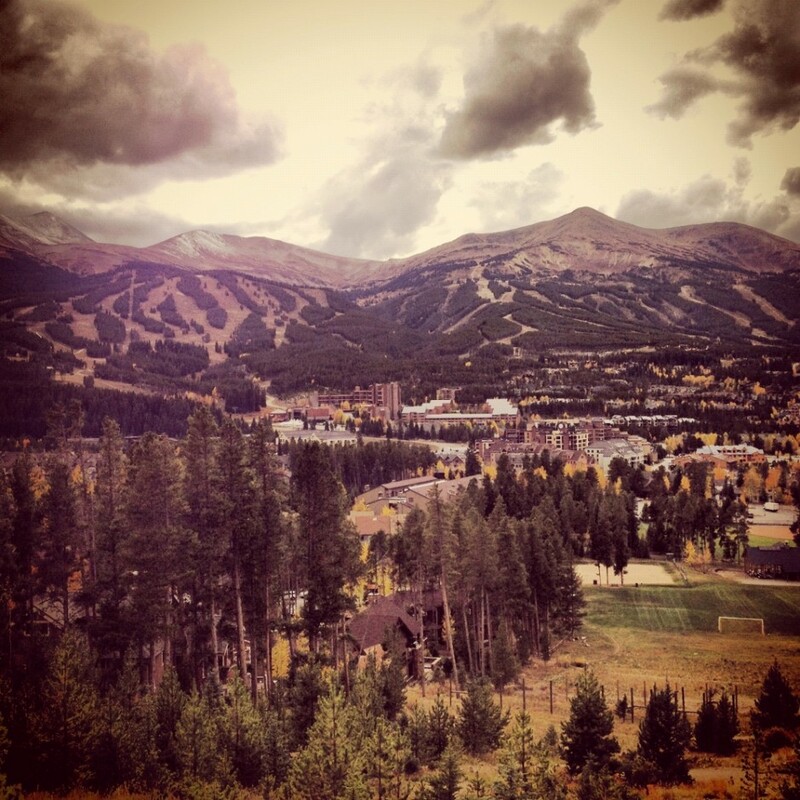 The view of town from Carter Park Trail as storm clouds roll over Breckenridge Ski Resort. 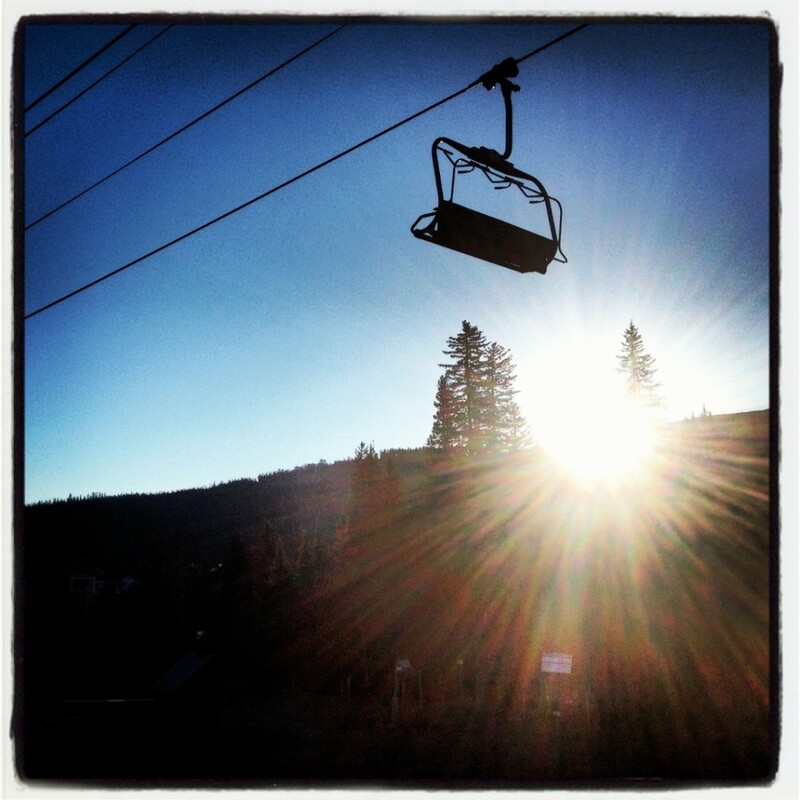 The rising sun silhouettes a lone chair on Peak 9. 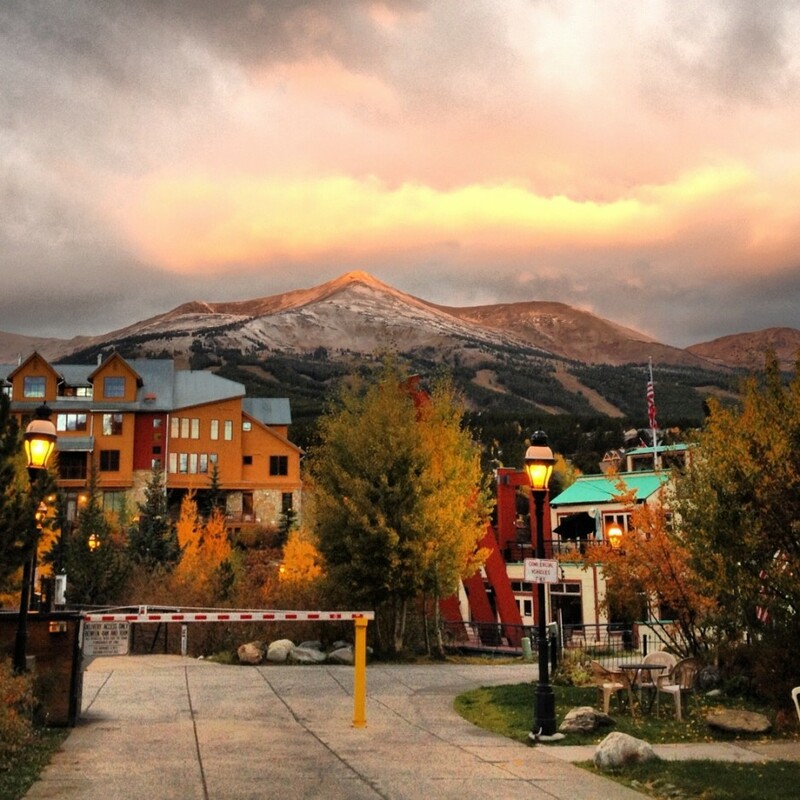 Another sunrise lights up the mountains and downtown Breckenridge. Every path leads to fall colors on South Ridge Street.